Cornwall is crammed with Christmas events this year – it’s almost impossible to highlight just a few. Sing some carols in the cathedral, explore the wintery wonder of Tehidy Woods and meet Santa on a steam train. Or join Scrooge to celebrate the festive season – Bah Humbug! With an array of fairs and markets, there are plenty of opportunities to find perfect gifts and goodies. Why not kick off Christmas with your local community – find your local light switch on below. This year, Healeys Christmas Markets are back and set to be bigger, better and bubbling with new Christmassy elements spread around the festive farm. The markets will showcase stalls of tasty local produce alongside Cornish art and crafts. Pick freshly cut Christmas trees and try the range of Healeys Cornish cyders for free in Healeys own farm shop. More than just markets, the farm offers a full, fun day out for the family. Cyder making tours and tractor rides down to 20 acres of orchards run regularly throughout the day whilst the friendly farm animals, including donkeys, pigs, goats, ponies and shire horses are a favourite for little ones to meet. Each Sunday afternoon, with a famous Healeys Sunday roast, local choirs will fill The Old Bottlery with the sounds of Cornish carols. Celebrating 50 years since the original Golden Globe Race, this is a production inspired by three legendary participants. Conveyed through a combination of song, narrative and imagery, Great Circle has been created around the deep emotional turmoil and challenge of Sir Robin Knox-Johnston, Donald Crowhurst and Bernard Moitessier. A choral representation of the psychological turmoil of contestants and their families will be performed by the famous choir Canoryon Lowen, with guest performances from the celebrated Cornish duo, Katie Kirk and Rick Williams, who will bring their own interpretation of the songs of separation written by Nick Hart. 1869, Victorian London. The household staff of 48 Doughty Street gather on Christmas Eve for a tradition long carried out, but seldom spoke about. That is until the arrival of an unexpected visitor in the winter cold. All he wants is a room for the night, and in return, he’ll entertain with his finest festive stories. But what’s the catch? A Dickensian Christmas is a festive story-telling romp through some of English literatures most loved Christmas fables, poetry and music from Dickens to Hans Christian Anderson. Developed and devised by the company through a process of creative discovery and improvisation, A Dickensian Christmas promises to be an evening of inventive and imaginative story-telling. Over 40 wide and varying characters will be portrayed by a cast of 4, in this festive rollercoaster through the ages. Start this year’s festive fun in Bodmin with an evening of special events for all the family. Starting at The Old Library at 6pm, follow the spectacular lantern procession as it makes its way down to Mount Folly. Then enjoy a very special community lightshow on the town’s Fore Street Clock Tower. Don’t miss this incredible display, featuring work by Bodmin students and the Colour Project. Starting at 6:15pm, the light show will repeat on a loop until 8pm. Join Bodmin Christmas Lights and Pirate FM’s Neil Caddy for the big moment, when Bodmin’s Christmas lights are switched on for the festive season. Enjoy the sounds of the Bodmin Town Band as they set the scene with beautiful Christmas Carols. Then from 5:30pm at 81 fore street (the old Threshers shop) dance the night away with intoBodmin and Bodmin CAN’s (Community Action Network) fun-filled, family friendly disco! Wonder Nights returns to Mount Edgcumbe Country Park in an all-new after dark adventure the whole family can enjoy together. Escape here to a fun, wondrous world of sensational sights around every corner. Discover enchanting lands under the stars and glorious gardens illuminated with gleaming delight. Plus no end of festive merriment ensure this is one escapade you really shouldn’t miss! One of Cornwall’s most well-known Christmas events providing visitors with quality locally produced food and drink and festive gifts. The event takes place throughout the town centre with festive activities and shopping opportunities with its main draw being the Christmas Markets on Town Quay, Albert Quay, Webb Street and the Town Hall. 8. Near-Ta Theatre: Christmas. Time. Every Christmas for the last fifty years the Willoughby-Brown family have gathered at their country seat in Cornwall to eat, drink, laugh and bicker and, with the help of their loyal staff, to provide their own entertainment in the form of a home-made pantomime. The few guests who have been permitted to witness these rare soirées have spoken of being swept away by eccentric singing, exotic dancing, breath-taking magical effects and of being frequently moved to tears of laughter. Created by Cornwall’s award winning immersive and highly visual Rogue Theatre, Winter Wood is an adventure for families and those who still believe in Magic. A unique festive marvel to behold and set in the heart of the Winter Wood, enjoy an exhilarating walk through the trees before gathering in a warm tent where a magical story comes to life and a festival spirit unfolds. There will be a show with live music, festive stories, winter wonders, a free hot chocolate for everyone, a warm place to relax, sparkly face painting and the chance to make your own traditional winter decoration to take home. With new stories for 2018. Journey through an after-dark Lost Gardens and delight in the incredible textures, colours and atmosphere created by Pedersen’s thought provoking illuminations. New for this year Heligan debuts a selection of Pederson’s unique sound and light installations in addition to last years display, to create a dazzling nocturnal immersive experience. Heligan are also holding their annual Christmas fair on Sat 8th – Sun 9th December. This festive event is a must in your Christmas calendar – enjoy entry to the gardens together with the perfect opportunity to find some unique gifts. Truro Cathedral and Christian Aid present an evening of community singing featuring some of your favourite carols. There is musical entertainment from Loveny Male Voice Choir, Callington Gospel Choir and St Mewan School, plus guest speaker, Amanda Khozi Mukwashi, Chief Executive of Christian Aid. Free with a collection for the work of Christian Aid and the cathedral. A magical puppet and live action production of Antonia Barber’s classic children’s story, The Mousehole Cat, is performed in the heart of Mousehole alongside the villages annual Christmas illuminations in the Solomon Browne Memorial Hall. Families will again have time to marvel at Mousehole’s spectacular lights display before taking their seats to hear how this West Cornwall village was saved from desperate famine by the brave actions of fisherman, Tom Bawcock, and his faithful cat, Mowzer. Based on a well-known Cornish legend Antonia Barber’s uniquely heart warming story of the friendship between a fearless fisherman and his devoted cat is sure to warm the cockles of your heart almost as much as an ‘efty portion of stargazy pie! Their third Christmas in Mousehole before the production tours to the US and UK next year. This magical show lasts for approximately one hour allowing families to soak up the atmosphere of Cornwall’s most famous Christmas light display and enjoy a live performance all in one evening. Joy to all mankind… Bah! Spend an evening in the company of a mean, tight-fisted, squeezing, grasping, clutching old miser. Bah! Watch horrified as Ebenezer Scrooge is haunted by four creepy ghosts (wooo-oooh) each one more terrifying than the last. Bah! Celebrate the festive season with a mesmerising one-man performance of Charles Dickens’ timeless, transformative story: A CHRISTMAS CAROL. Bah! Bah! Come along and sing some Christmas Carols in the mill at King Edward Mine again this year, with some festive cheer. From 2pm to 4pm, this is a free event for all well-wishers and the local community. This year there will be a ukulele band to help the Christmas songs go with a swing, and songsheets so that all can join in. If the weather is cold and wet, the mill is a great indoor space to bring your whole family. A stage play by Ian Gower and Paul Carpenter. Adapted from the original TV series by Richard Curtis and Paul Mayhew-Archer. With kind permission of Tiger Aspect Productions. Following on from their hugely successful production of ‘The Vicar Of Dibley ‘at The Minack last year, the Seven Stones team reunite for this brand new seasonal adaptation. Featuring Geraldine, Alice, Hugo and No no no no, Yes! Jim Trott together with all the wonderful characters you would expect from one of the greatest situation comedies of all time. ‘A Vicar Of Dibley Christmas’ will take you on a roller coaster ride of festive tomfoolery, including hilarious scenes from the unforgettable Christmas Lunch Incident and The Christmas Nativity. What better way to kick off this season’s Christmas celebrations with a show suitable for the whole family. This momentous service will bring together singers from all over Cornwall, joining a unique community chorus to perform Carols from the Cornish Diaspora. Funded by FEAST, Arts Council England and Cornwall Music Education Hub, and supported by The Federation of Old Cornwall Societies and Truro City Council, this project was inspired by the research of ethnomusicologist Kate Neale. As part of her PhD, Kate travelled to Cornish communities in the USA and Australia in search of carols which emigrating Cornish people took with them as they departed in search of work, fortune and spiritual freedom during the second half of the nineteenth century. She has collected a library of carols from families, archives, libraries and chapels. At this special Christmas cathedral service the Diaspora Carols return to their homeland and will be sung by singers from all over Cornwall. Penzance will be celebrating the midwinter in its own unique manner, with traditions and customs of Old Christmas including processions, fire, guise dancing, guise beasts and visitation performances at local establishments from various guise guilds. Market with daytime entertainment starts at 1pm, including music, carol singing, storytelling and ‘Obby ‘Oss demonstrations. First procession starts at the top of Causeway Head at 4pm, after choosing the “Lord of Misrule”, our Mock Leader, the Duke of Rosevean, 2nd procession at 6pm from Chapel Street to burn the effigy of the sun, and final one at 10pm in Chapel Street for the “chalking the mock” custom, with roaming characters and guild acts in between. Join in the fun by wearing a (non-horror/non-celebrity) mask and costume and accompany us in the processions, find or register your own guild of guisers via our Facebook pages @montolfestival and @celebratekernow to keep up to date with workshop dates and inspiration. The well-loved story The Little Prince by Antoine de Saint Exupéry, is retold using Protein’s mix of humour, dance and music, encouraging us to look at the world through our hearts and reconnect with the child that’s in us all. 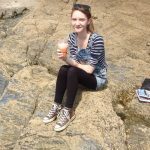 Holly joined the Cornwall 365 team in May 2018 as a Communications and Events Co-ordinator, after completing her management degree at Falmouth University.